We are selling out of all of our stock! Do you want to miss out on this? You Deserve The Best Sleep! "Sleeping on White & Green Bed Linen Feels Like Sleeping On Clouds"
300 thread count sateen weave. The finest long staple Organic cotton. Classic design 1 line of white trim on the Oxford pillowcases and left to right across the duvet cover. Cannot be used with any other promotions or discount codes. For Sizing measurements, please scroll down. 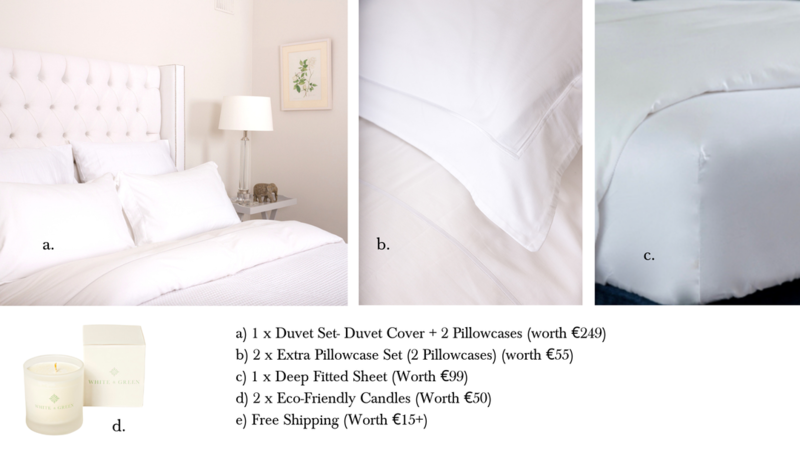 At White & Green, we create the world's best organic and ethically-made bed linen. We pride ourselves in consistent high quality, expert craftsmanship, and in always putting our customers first. This is why we have grown at such high speed, now serving over 5,000 customers across 4 different continents! 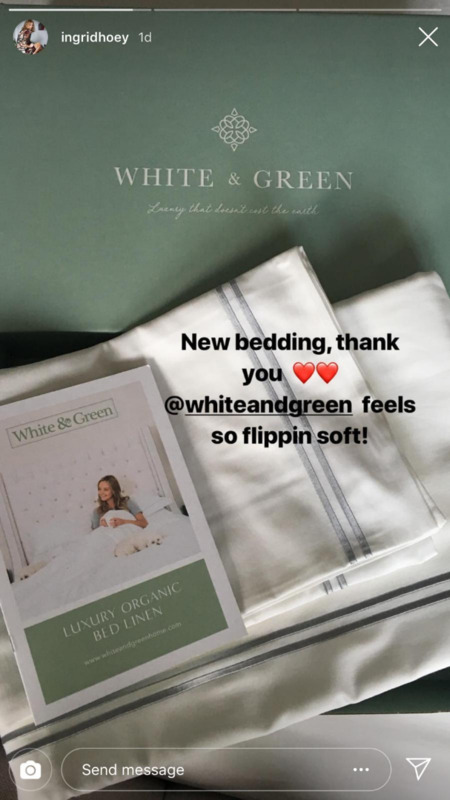 When you sleep on White & Green, you'll never want to get out of bed and you'll never buy from a traditional bedding brand again. So, shop with us today and transform your bedroom into a 5 star luxury sleeping experience. 100% Quality & Happiness Guarantee! 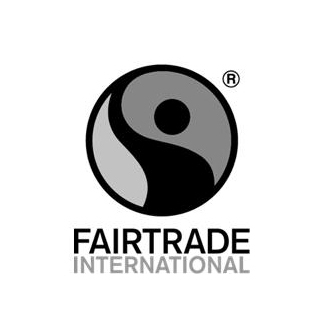 Fairtrade sets social, economic and environmental standards for companies and workers in developing countries. Fairtrade guarantees safe labour practices and fair wages for workers. We are proud to be certified by GOTS- the worldwide leading textile processing standard for organic fibres, including ecological and social criteria, backed up by independent certification of the entire textile supply chain. We believe in quality that lasts and is passed down through the generations. Once you sleep on White & Green, you won't look back! We offer free returns if you are unhappy with anything, no questions asked. 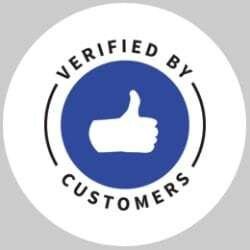 Adored by over 5,000 customers around the world, take a look at what our customers are saying about us. Simply place your order and wait for it to be delivered to your door in 2-3 working days (for UK and Ireland). Rest of Europe- 3 to 5 days. 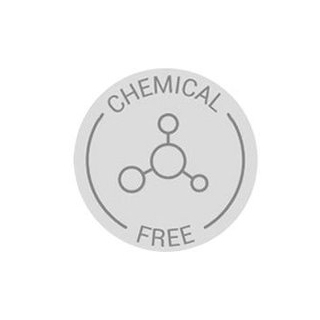 No nasty chemical pesticides, dyes or finishes. Safe working conditions, fair wages and never any child labour. Over 5,000 customers on 4 continents. What do you get for just €468 €297? The finest 100% organic cotton, our 300 thread count sateen bedding range is pure softness and luxury, and easy to care for, wash after wash. A simple white cord trim on the duvet covers and pillowcases offers sophistication and elegance, making this collection the perfect choice for every bedroom. Pillowcase sets feature an oxford edge and a white cord trim runs around the pillowcase in a rectangle. 100% organic cotton fitted sheets with a depth of 38cm to fit even the deepest of mattresses, featuring a firm elastic around the bottom. 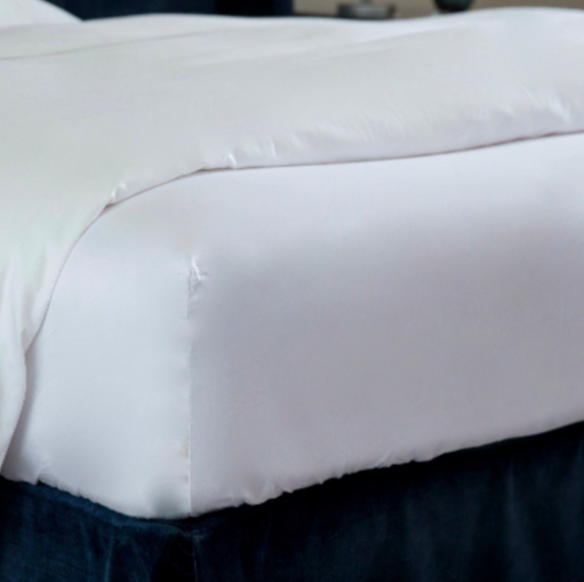 Luxurious 300 Thread Count with in a sateen weave finish. 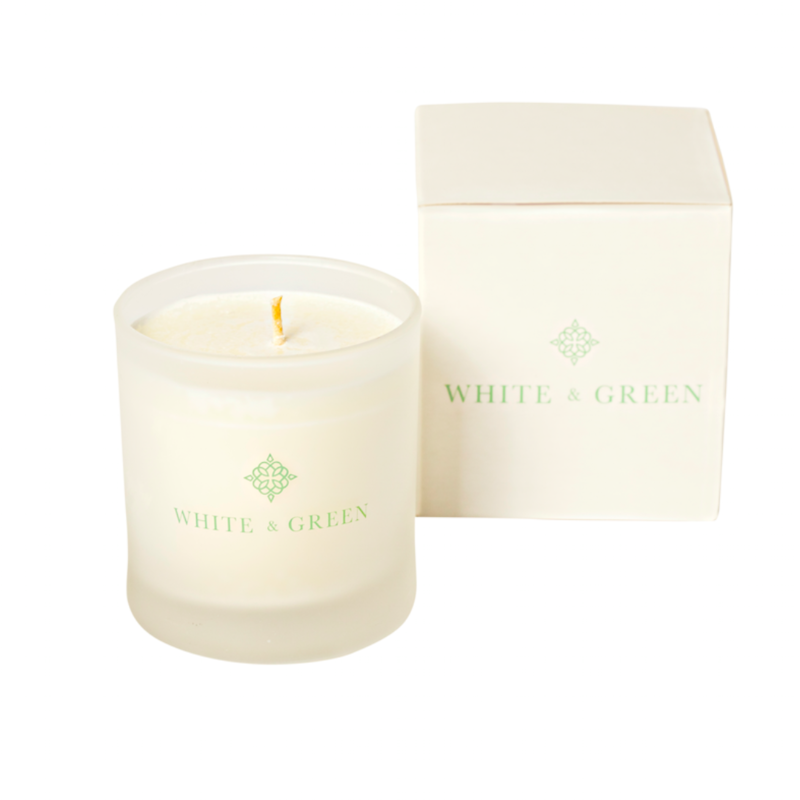 We have launched a brand new eco-friendly natural candle range made from 100% plant-based oil. Why are vegetable oil candles better? Toxin-free- no dangerous soot and fumes which you find with run-of-the-mill candles. Water-based- easier to clean and can be absorbed into the earth. Paraffin wax is impossible to remove if spilled and also takes years to be absorbed into the soil. Better for the environment- our vegetable oil is from sustainable and renewable resources. Paraffin wax is a by product of petroleum and is not renewable. No headaches- some people experience horrible headaches around paraffin candles, this is because it is a by product of crude oil- similar to lighting diesel in your home and highly polluting. Lower burning temperature- vegetable oil burn slower with a smaller flame, so they are safer for your home. 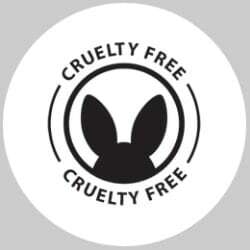 Vegan-friendly- never tested on animals! Burning time of 21 to 22 hours, and sometimes more. This is because our glass candle is 100% hand poured, so the volume of wax in each individual glass varies. "Me and Willy are getting cosy on my White & Green bed kit. Now, I really didn't think I could notice a difference in bed sheets... but I've never had such appreciation for bed apparel like this. Slept like a baby- only trouble is I found it really difficult to get out of bed this morning!" "Delighted with my new bedding, it is so incredibly soft"
"Beautiful quality and everyone loves them." Avail of our offer now! What thread count do you use? All of our bedding is made from 100% organic, long staple cotton in a 300 thread count weave. This is our magic formula for creating bedding that is genuinely luxurious, but also durable and easy to wash and iron. The only thing you have to choose is which colour and style trim you like! Firstly- it is important to know that the thread count is not the most important to look for when buying sheets. Thread count simply measures the number of threads woven into each square inch. For example, 300 thread count comprises 150 vertical and 150 horizontal threads. At some point, it becomes difficult to fit anymore in. So, as a marketing ploy, companies might create their long threads by twisting shorter, poor quality fibres together. Check out our blog for more information. Are your sheets sateen or percale? Cotton sheets can we woven using several different methods (i.e. how the threads are interlaced). 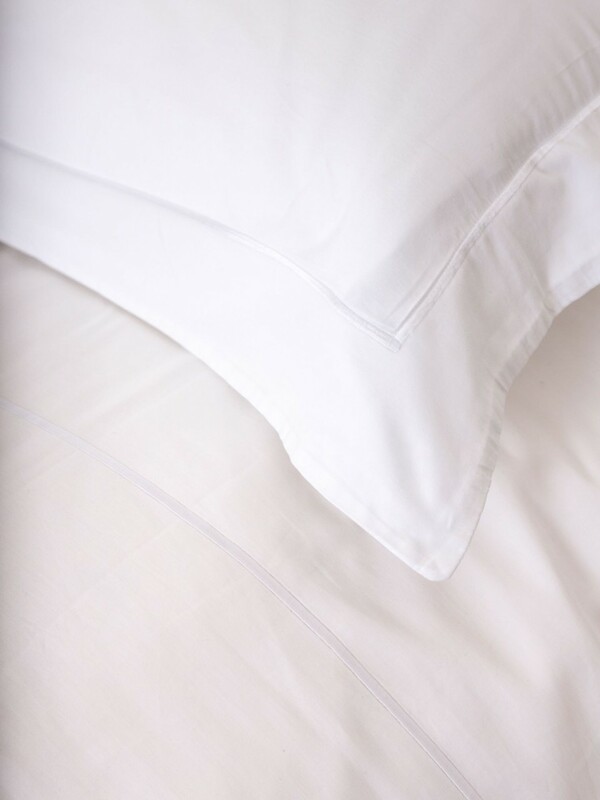 All of our sheets are sateen weave, which creates a really silky and smooth feeling. We love the sateen weave because it feels so luxurious, and yet they really durable and easy to wash and iron too. Keep an eye out for our upcoming blog on the different types of weaves and finishes for bedding. Can I choose a different size fitted sheet? Our special offer is for one size only across all products and is prepacked in our Fairtrade factory in India, which means we cannot swop or change sizes. Our offer is available in Double, King or Superking sizes. Are your sheets easy to iron? Yes, White & Green sheets iron like a dream! We use only the finest handpicked, organic cotton in a 300 thread count weave, which makes them easy to iron…really! If you use a tumble dryer, make sure that you take your sheets out before they are bone dry. Take them out ever so slightly damp, fold them and give a sweep of the iron on either side for the more efficient method of ironing! Beware of “no-iron” or “wrinkle-resistant” sheets, these are usually the result of a formaldehyde resin bath. Can I choose a different design? Our Special Offer is prepacked in our factory and therefore we cannot offer any other styles or colours. But we promise you will love the classic white on white, which is timeless after all! 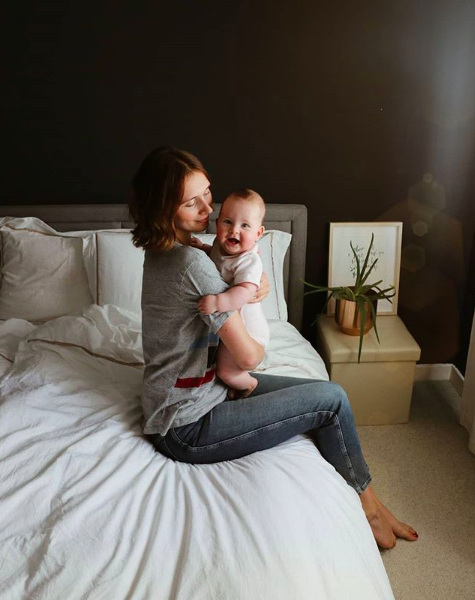 The silkiest organic cotton bedding that lasts a lifetime. Once you sleep with White & Green, you'll never look back! We believe in quality that lasts and is passed down through the generations. Once you sleep on White & Green, you won't look back! Adored by customers around the world, take a look at what our customers are saying about us. We want to create a simple shopping experience for you, that is why we offer free courier service to your door. Simply place your order and wait for it to be delivered to your door in 2-3 working days (for UK and Ireland). Rest of Europe- 3 to 5 days. Try our bed linen and if you are not 100% satisfied, we will issue you with a refund.